While storage tanks from Tuffa are primarily designed to store liquids such as oil, water, and other chemicals; they can have a variety of uses. Tuffa Tanks provide the perfect solution when deciding on storage systems for water, oil and other chemicals, but our storage tanks can be used in a number of different ways – ranging from storing dry food to being used as a dog kennel. Here we have listed some of the alternative uses for our storage tanks. Tuffa storage tanks can make for the perfect garden shed, with plenty of room to store all of your equipment – without having to go through the process of building one from scratch. While our tanks are rot-proof, wind-proof and shower-proof, we are able to incorporate UPVC or wooden windows and doors to create your own design. Our tanks can be manufactured into a spacious and durable dog kennel, perfect if you have a bigger dog and require a little more space for them to relax and hide away in. Dog kennels can be manufactured in a variety of different colours and sizes to suit the environment upon request. Weighing in at only 60kg, Tuffa kennels can easily be transported and used for a variety of animals other than dogs. If you require a cool and dry place to store food in and find yourself running out of space in the home, one of our tanks is a more than adequate alternative. Our tanks are waterproof; ensuring that your food would not succumb to dampness and remains in great condition – ready for use. As well as food storage, Tuffa’s tanks can also be used for dry storage – perfect if you have materials that can become damaged when left out over a period of time. As a tank manufacturer, we are able to offer great flexibility with our manufacturing process. 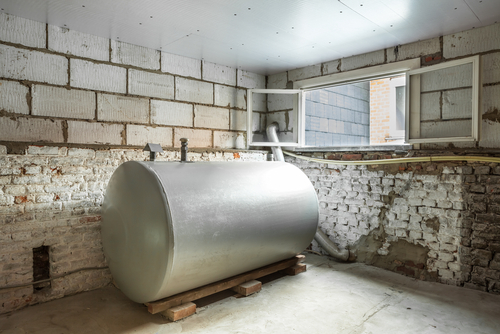 Our bespoke service is perfect if you are looking for more than a regular water storage tank and require something a little out of the ordinary. All of our tanks are manufactured to industry standards – with the options of plastic and steel designs – and provide the perfect solution for a broad range of requirements; from chemical and water storage to a variety of alternative uses such as those mentioned above. If you require any more information on how a Tuffa tank could be the perfect solution for your requirements, then please contact our team on 01889 567700.